Finally! the Korean Tech Giant has made its move to counter the Chinese brands overtaking the Smartphone market. Chinese brands like Xiaomi, Huawei and Oppo have been dominating the budget segment Smartphone in India for a while now. Samsung emerged as a premium when it came to flagship Smartphones though, failing to offer any single decent Smartphone in the budget segment. To counter this, Samsung has come with the Galaxy M series. After a lot of teasers and leaks, the Galaxy M series is finally here. 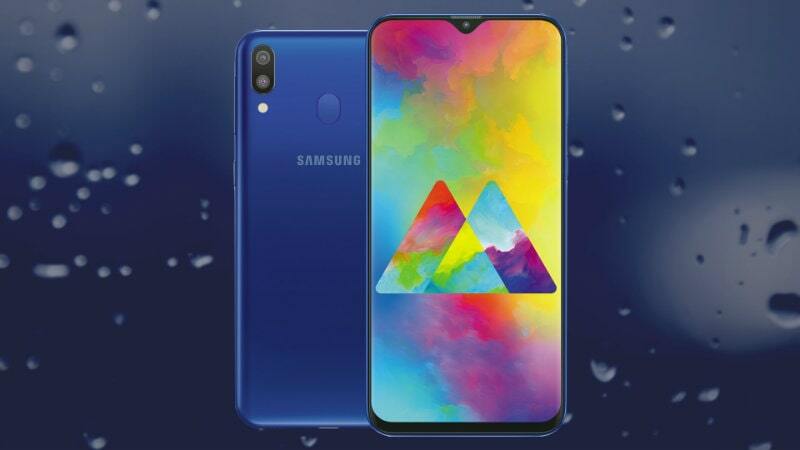 And, Samsung Galaxy M20 is the first one we will be reviewing. Seems like Samsung has finally caught up the trend of budget Smartphones. The Galaxy M20 features a dual rear camera in which the primary lens is 13 MP and the secondary is 5 MP. The rear camera of the Galaxy M 20 is capable of capturing some excellent portrait shots with rich detail. On the front of the Galaxy M20, the dewdrop notch is hiding a single 8MP selfie shooter lens. Both of the front and rear camera use AI abilities to enhance the color of macros, increase contrast in low-light and much more. Now the disappointing part- the Galaxy M20 neither supports 4K video recording nor any form of EIS for video stabilization. At a single glance, I think the 6.3 inch TFT panel and the dewdrop notch looks mesmerizing. This notch display has a resolution of 1080 by 2340 pixels, offering crisp and bright viewing angles. In terms of design, the front of the Galaxy M 20 looks fantastic but, the rear design of the phone looks rather dull when compared to competing designs of Smartphones like- Redmi Note 7 Pro. However, the addition of USB-C was a really nice feature to have in a budget Smartphone. Right out of the box, the Samsung Galaxy M20 is disappointingly still running on Android 8 Oreo but, Samsung has promised a Pie update rolling out soon to all of the M series devices. The processor of choice for the Galaxy M20 is the Exynos 7904 which might not be as great as the Snapdragon 636 on paper but performs fairly decent. For the gamers out there, the onboard Mali-G71 MP2 will let you play graphics intense games like PUBG Mobile and Asphalt Xtreme on medium quality at an average of 30 FPS. The M20 comes in two different RAM variants- 3 GB/32 GB variant which is priced at INR 8990 (approx. USD 125) and a 4 GB/ 64 GB variant priced at INR 10990 ( approx. USD 153). The RAM management on either variant of the Galaxy M20 is excellent. I hardly notice any lag using it to perform daily tasks like switching between apps, browsing on chrome, watching some Netflix, etc. The Galaxy M20 also has a hybrid SIM slot for two SIMs and a dedicated SD card. As most of the budget Chinese Smartphone like Redmi Note 7 Pro and Realme U1 proudly ship their fan-favorite Smartphones with huge batteries. Cleary, Samsung is catching up on that part and thereby, offering the public a long-lasting 5000mAh battery on the Galaxy M20.